Divorcee Jean Kenton is starting over–looking for a new job with a better salary, one that will help her pay the bills and take better care of her two growing kids. But she ends up in an office that’s pretty much her worst nightmare, except for the handsome, friendly stranger she meets out in the hall. Matt Fischer has his own problems, although he’s the boss of a successful construction/renovation company. 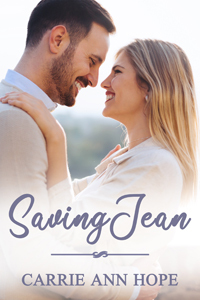 His family history has made him reluctant to think about romance; he’d rather be the fun uncle, the guy who helps everyone out, especially after his last relationship crashed and burned. Then he meets Jean, and suddenly the road ahead looks very, very different. Can a man who's determined to fix everything and a woman who's determined to succeed on her own build something that will make them both happy? Or are their goals so different that love doesn't stand a chance?